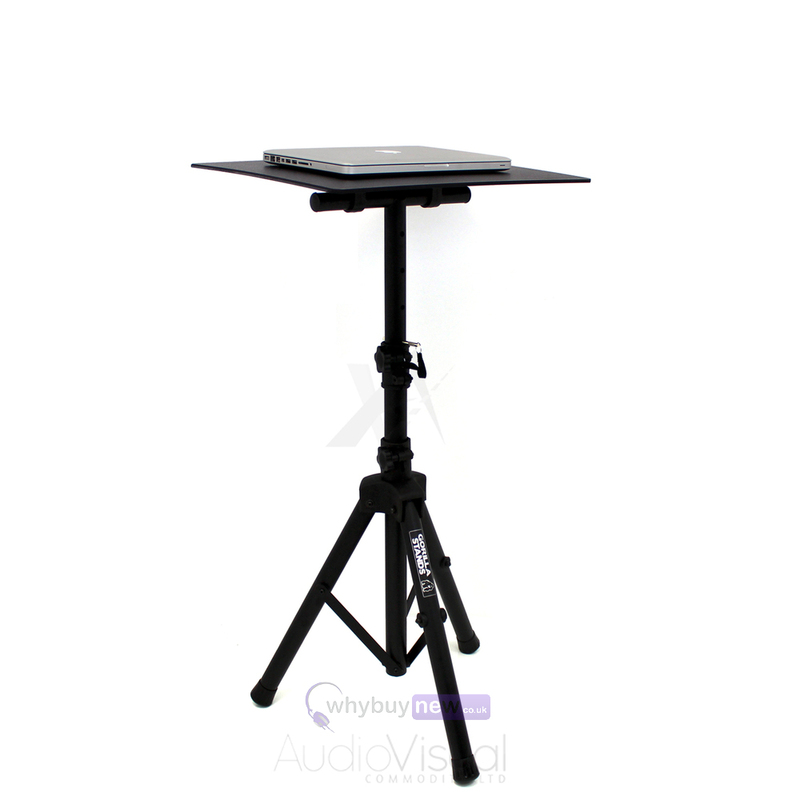 This Gorilla Stands GLP-200 laptop and projector stand is highly portable and adjustable, with a dual purpose for use with both laptops and projectors. The Gorilla GLP-200 is lightweight, yet durable with a steel construction to ensure optimum strength while still remaining portable. 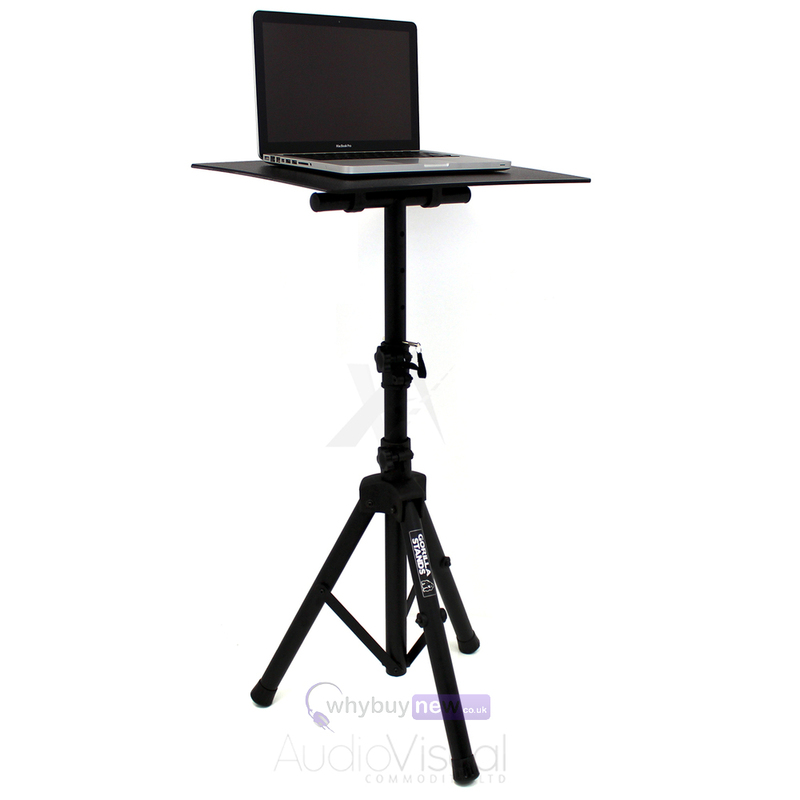 The GLP-200 stand is perfect for live performances where a laptop or other small device is required on stage and a sturdy, durable stand is required to ensure ease of use and protection from slips and falls. The Gorilla GLP-200 makes for a great projector stand, with a maximum adjustable height of 125cm and a top shelf that can be angled from 90-degrees to the left to 90 degrees to the right. Allowing for the projector to be placed at a height and angle that allows for optimum projection. 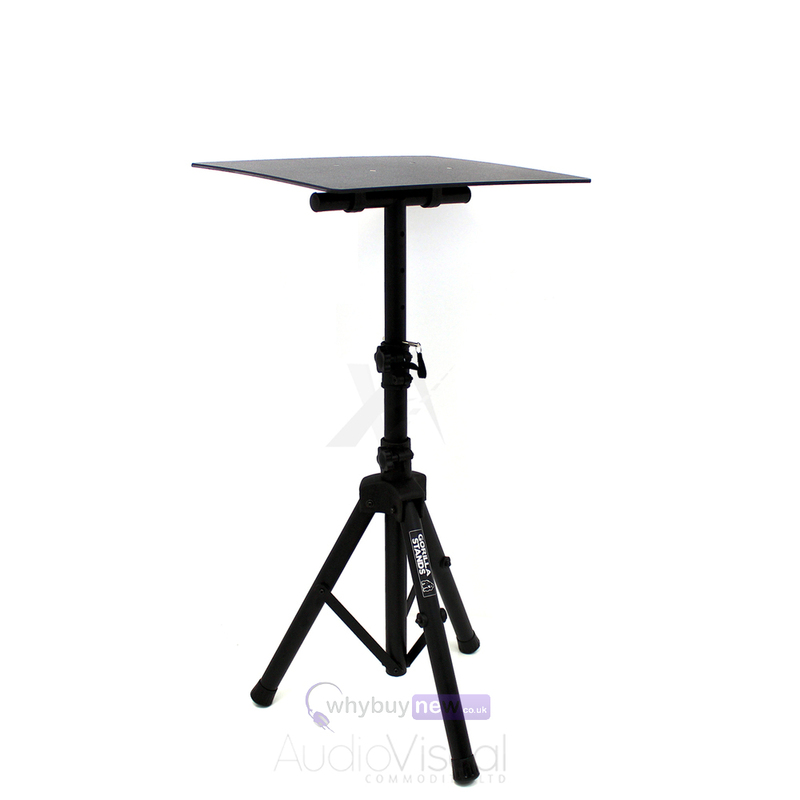 The plastic flat top tray is 40cm x 50cm allowing most laptops and projectors to fit comfortably on the stand, and the ease of assembly allows quick set up and break down before and after a set. 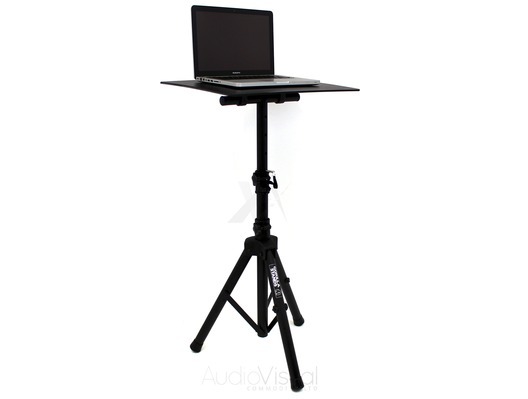 The Gorilla Stands GLP-200 laptop and projector stand is perfect for achieving safe, durable and ergonomic positioning of both laptops, projectors and any other equipment required during a live performance. Please note that additional fixings may be required when using the top platform at an angle, contact us for more information. Suitable for laptops, projectors etc. Very strong and very useful piece of equipment a definite must for my collection. Highly recommend and great customer service from why buy new. I chose this stand because it has a large table top to suit my projector which is on the large size. I was delighted with the quality of the stand and how stable it is even with the large projector on it. The price was extremely good and included postage. To my surprise this arrived the next day. This has to be the fastest free delivery ever. Great value and great service will use again. This is not first time purchased from this company. As usual the item was delivered on time and exactly as described. Will use again. Excellent quality - sturdy and lightweight. Used to support mixing desk or on other occasions a Bose Tone Match and radio mic receiver during live gigs with guitarist son. Very good value. I attached a 'trap tray' in place of thelaptop/projector platform. 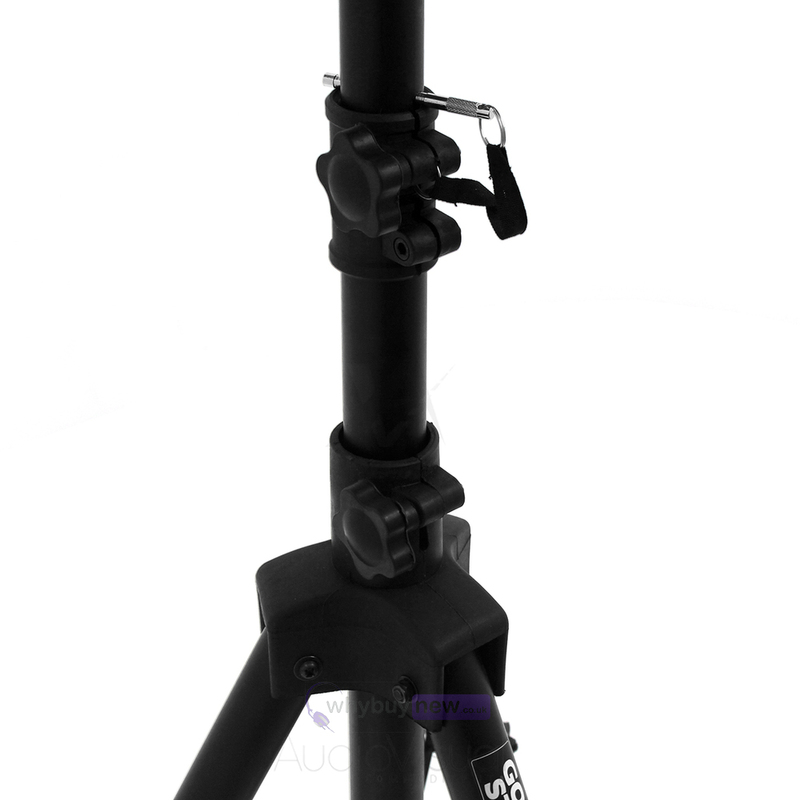 A very strong stand with a large height adjustment range. Great stand for my projector, very sturdy and folds away easily for storage, great buy for anyone who needs a this. Great for a laptop. Bit fiddly putting in the car with other equipment as once you've bolted the top on its a.bit fiddly to remove so I've left it on. A solid piece of kit. I was overjoyed with the efficiency of your firm. The item I purchased is of excellent condition and more than fit for purpose. Thank you and a very happy new year to one and all. Lynn Power. Many thanks indeed, It's very handy and useful stand for laptop and for multiple usage also .. I am very happy with this item! I use it every day ! Thank you! Used at gigs for laptop while playing guitar and singing. Makes easy to see and access. Perfect,.great value, seems sturdy, time will tell. Well designed product. Used in my case for sofa-surfing and working from home. I bought 2 of these so I could put a big screen behind the laptop and this setup works really well. And the whole thing folds up behind the sofa in seconds. They are really sturdy as well and could handle much heavier equipment if needed. All in all, great value for money.